The WorkCentre 3335 Multifunction Printer (MFP) helps you conserve energy and reduce supplies costs by combining the functions of a copier, printer, color scanner and fax into one affordable device. With hefty processing power and standard memory, you’ll see your first print faster and get print speeds up to 35 ppm. In addition, an optional second paper tray lets you load an extra 550 sheets at one time for extended interruption-free printing. 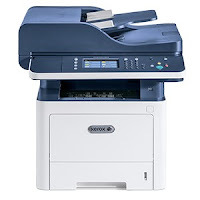 The Xerox WorkCentre 3335 offers Wi-Fi connectivity for untethered mobility make secure and Wi-Fi Direct, mobile devices can connect directly.